Are you looking for an outdoor dining area? Garden fixtures? Maybe even an outdoor office? 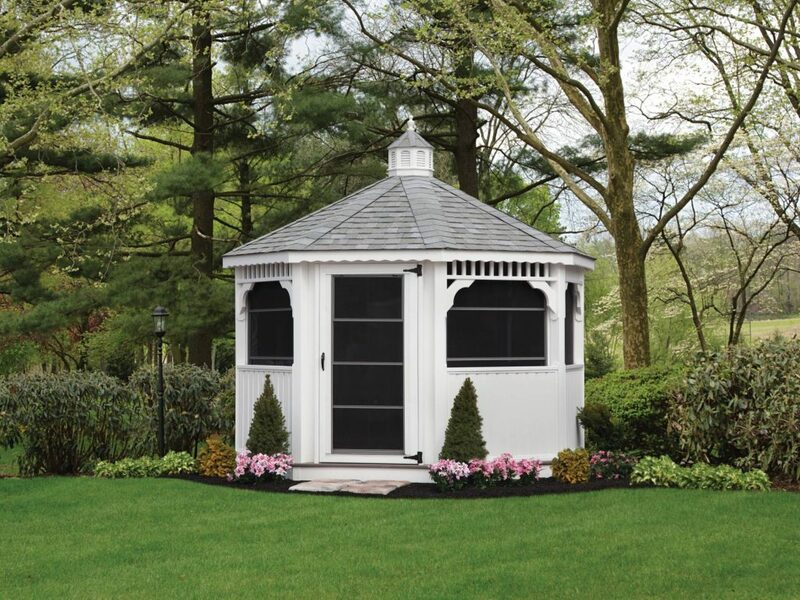 A ‘’Backyard Showcase’’ gazebo has Amish craftsmanship, quality, and beauty all in one package! With surprisingly affordable prices, you can load your outdoor gazebo with extras like electric outlets and screen packages to keep those pesky mosquitoes away. We offer three different materials for our gazebos. 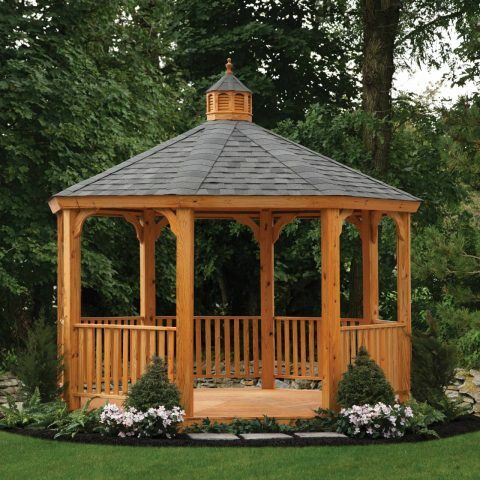 With a large variety of options including vinyl, wood, and cedar, your new gazebo from The Backyard Showcase will most likely be your most favorite spot to enjoy a summer evening. from Florida to Maine to Texas to California direct from the factory. 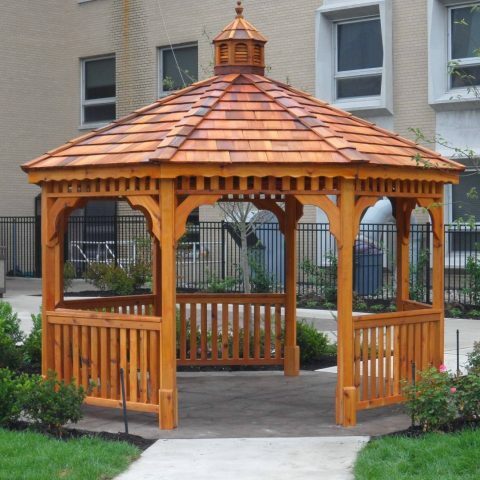 We ship our gazebo kits all over the U.S.A. and we have our own professional carpenter crew that will deliver an install your gazebo anywhere along the East coast and most parts of the Mid-West. 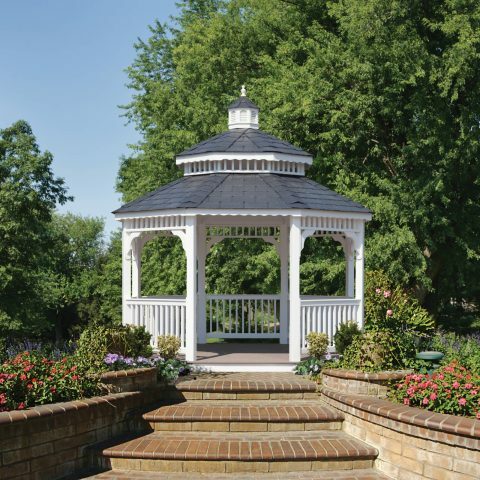 We take pride and joy in making your gazebo kit purchase a smooth, hassle-free experience! Check us out! 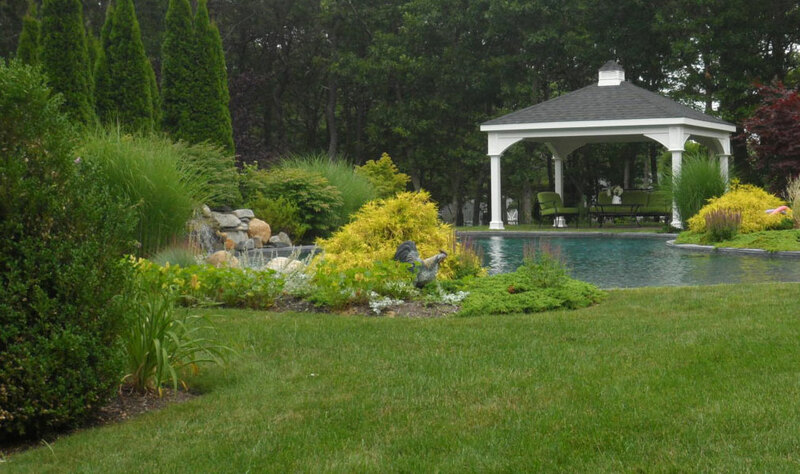 Give us a call today to let us help you pick a gazebo that will fit your lifestyle. It depends a lot on what size your patio or your backyard is. Our 12×16 gazebo is probably the most popular size that we have. This is large enough to have a table and few chairs undeath comfortably.